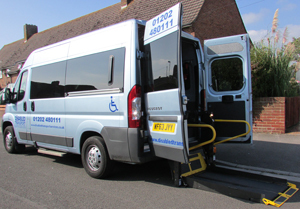 At Disabled Transport Services, based in Bournemouth, Dorset, we have 8 specialist wheelchair accessible vehicles for transporting the disabled, those who are wheelchair bound, and the frail. 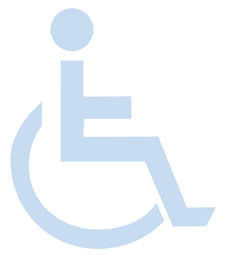 We offer door to door transport for the users of all types of wheelchairs, including electric chairs & mobility scooters, and for those with limited mobility. Our drivers are all vetted, licensed and fully insured, experienced, caring and careful. All vehicles are rear loading with electric lifts. Our driver will collect you from your home, make sure you are secure and comfortable in the vehicle, deliver you to your destination, and back home again if that is required. We operate principally in Bournemouth, Christchurch, Poole, Wimborne & Ferndown, but we can transport to any destination, local or long distance. Please contact us for a price and availability.